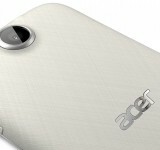 Remember my look at the Acer Liquid Jade ? The camera wasn’t exactly great but I definitely liked the styling in my mini review and subsequent video overview. Now, a newer version, packing a more powerful front camera (5 megapixel instead of 2 megapixel) but the same resolution rear camera (13 megapixel) has been announced. However, that rear camera should be better thanks to a F1.8 aperture, which should mean much sharper pictures even in low light. Like the Liquid Z410 4G there’s the various quick shooting modes and voice-activated capture settings too. A scene auto-detection system will also mean that you can be a bit lazy and let it decipher what the best settings should be to make that shot as good as possible. Gone is the 1.3GHz quad-core MediaTek CPU (MT6582) in the original Jade in favour of a 64-bit octa-core processor, still from Mediatek (MT6752M). 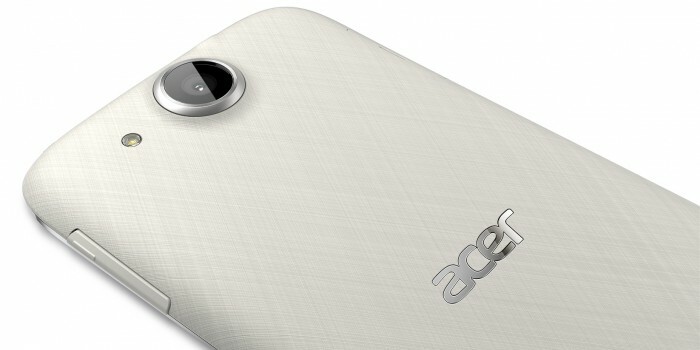 This, according to Acer, makes it up to 2.5 times faster than the previous one. It’s still as thin and light, this one weighs in at 116 grams. Available in black and white from January for €299 (around £234) it also has an optional hybrid microSD/dual nano-SIM system which means you can swap out the microSD card for a second nano-SIM. It’ll launch on Android 4.4 Jelly Bean, but they say that Lollipop ready will be available for upgrade “later in 2015”. 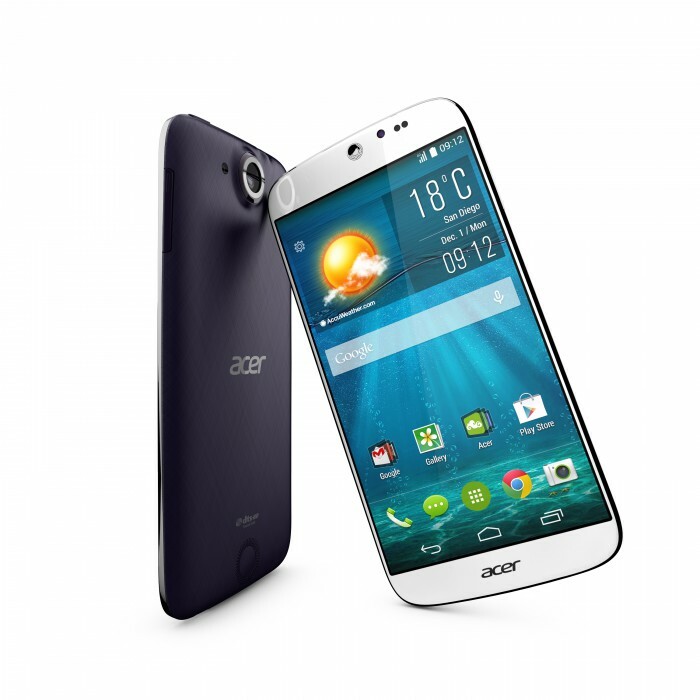 Las Vegas, January 3rd, 2015 – Acer announces the Liquid Jade S that brings additional speed and performance into the Liquid Jade smartphone series. 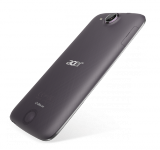 Akin to the original Liquid Jade, the new S version continues to astonish with its superb sleek looks featuring 4G LTE connectivity, true octa-core processing power with 64-bit architecture and a new-and-improved controllable voice-command camera. The Liquid Jade S will be on display at Pepcom’s Digital Experience! Event on Jan. 5th at The Mirage in Las Vegas. 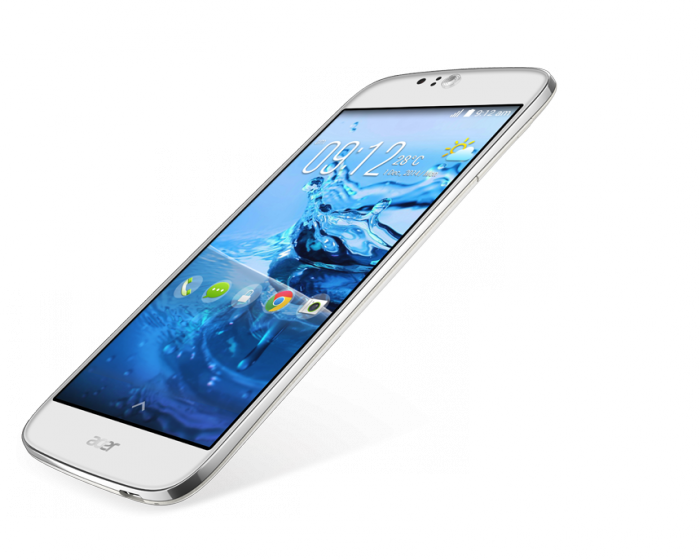 The Liquid Jade S was created to be an elegant but powerful smartphone. It premieres the latest 64-bits Octa-core processor from Mediatek (MT6752M) which makes it up to 2.5 times faster than traditional quadcore-powered smartphones currently on the market. Supporting 4G LTE (Cat. 4) ensures speedy connectivity to browse, stream and download almost anywhere in the world. “We are very pleased to be working with our close partner Acer on its new Liquid Jade S launch. 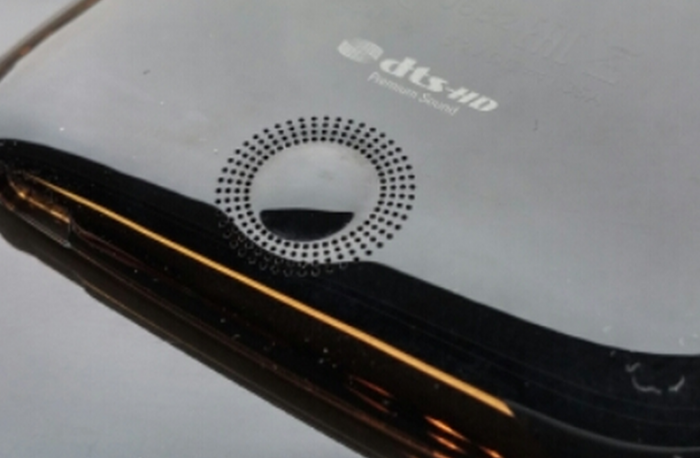 MediaTek technology is accelerating the global transition to LTE, and the MT6752M processor brings high-performance for the mass market. This chip, featuring eight 1.5 GHz ARM Cortex-A53 CPUs, will help Acer satisfy its customers’ demand for faster and more powerful Android 64-bit mobile operating systems,” said Jeffrey Ju, SVP and general manager of wireless communication at MediaTek. Sporting a Mali T760 graphics chip, the Liquid Jade S also secures high quality visuals and seamless graphic performance, great for gaming as well as a smooth user-interface experience. Launching on Android 4.4 Jelly Bean, it is Android 5.0 Lollipop ready when available later in 2015. As part of the superior designed Liquid Jade family, it boasts a fully curved body with curved surface and gives the eye an impression of elegance and grace. 7.78mm slim and weighting only 116 grams, the Liquid Jade S is amongst the most elegant, lightest 5-inch LTE smartphones on the market; it is also comfortable to hold and use with one hand, thanks to the securing grip provided by the HD-textured rear. Thanks to its 13MP rear camera with F1.8 aperture, it can produce flawless pictures in any environment, even when the light is scarce. 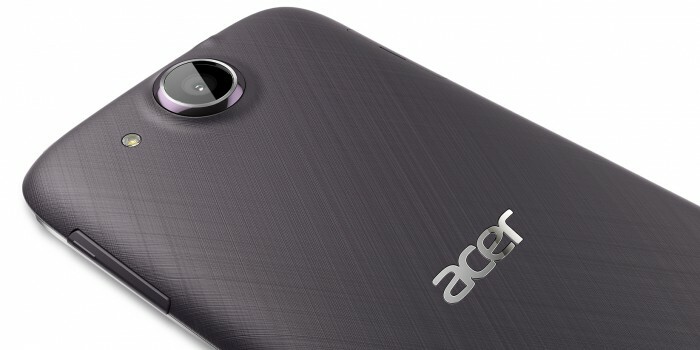 A front camera of 5 megapixels is also on board, to empower users to shoot their best selfie. The Liquid Jade S’ cameras are voice-actionable, and can be commanded with basic terms such as “Cheese” to shoot or “Selfie” to switch from the rear to the front camera and seamlessly snap a perfect smile. The intuitive interface provides users total control over their cameras, from filters through exposure adjustment. 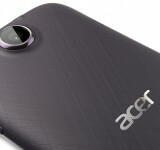 Additionally, Acer introduces a series of exclusive modes, made available for the first time on the Liquid Jade S: Dual Shot lets users make a collage of simultaneous shots from the front and rear cameras for picture-in-picture and video-in-video, Gourmet Mode will make Instagram feeds more beautiful with delicious shots. And for non tech-savvy types, Auto-Scene-Detect will intuitively set the best camera settings. 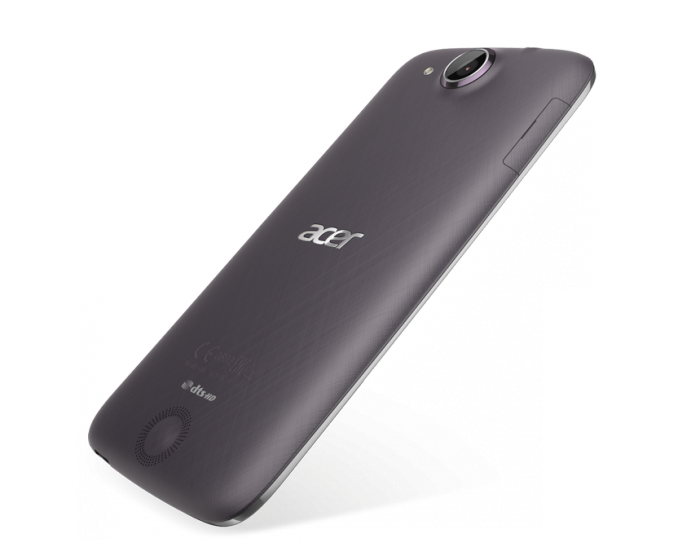 Beyond the exclusive camera features, the Liquid Jade S is compatible with the best technology enhancements brought by Acer. AcerEXTEND will enable users to take full control of their smartphones via cable or wirelessly using their Windows-based PC, typing with their keyboard, using drag and drop and rich sharing – taking the multitasking experience to the next level. The latest added-value service joining the offer is AcerNAV (1), a free offline navigation software powered by TomTom and utilizing TripAdvisor POI, to give Acer Liquid smartphone users the flexibility to navigate without any data plan at home or abroad. 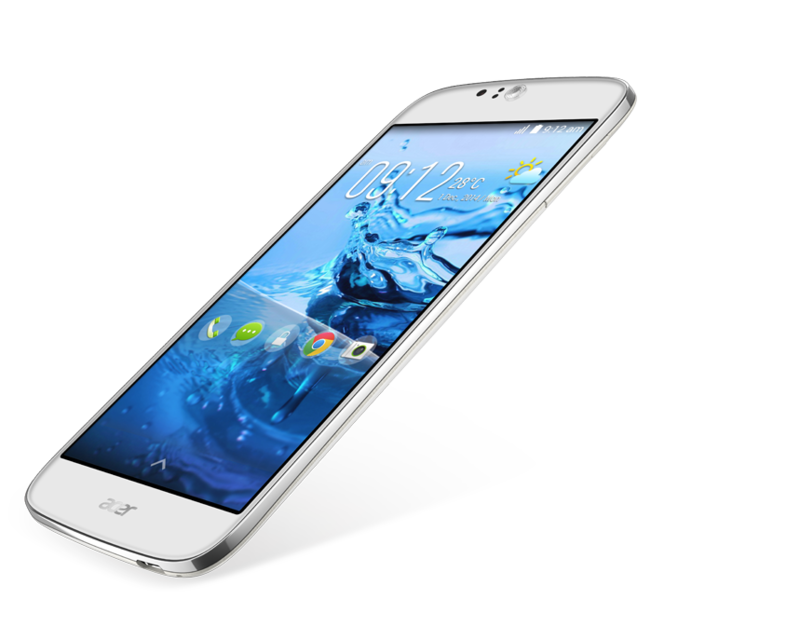 The Liquid Jade S comes with optional (2) hybrid microSD/dual nano-SIM. User have the flexibility to swap the microSD card for a second nano-SIM to stay connected to two worlds on one single device, be it personal and work lives for busy professionals, or home and local networks for globe-travelers, while being more organized and cost-effective. The Liquid Jade S will become available in January through selected EMEA retailers in a choice of two elegant, Cosmic Black & Lunar White, colors at a starting price of €299.-.